The H8K had good performance, impressive speed and range, and was well armed and provided armor protection for the crew. Its offensive capability was very effective in anti-submarine campaigns and was the scourge of American submarines during the war. The cockpit sat high just forward of a cantilever wing and was powered by was powered by four 1,530 hp (1,140 kW) Mitsubishi MK4A Kasei 11 engines. 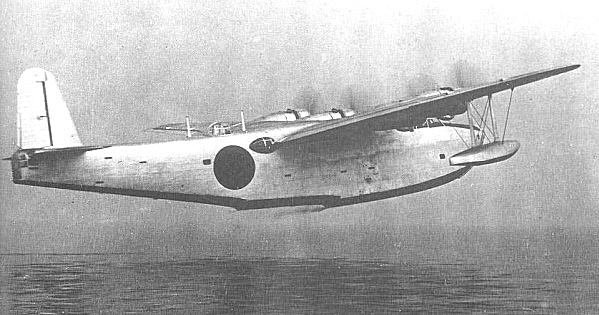 The later version, the H8K2, was powered by four 1,850 hp (1,380 kW) Mitsubishi MK4Q Kasei 22 engines with water injection driving four-blade propellers. It had eight small unprotected fuel tanks in the wings and six large, partially self-sealing, fuel tanks in the hull. It used a Co2 inert gas system for fuel tank fire protection and had a unique feature that if a hull fuel tank was pierced, the fuel would drain into the bilge and could be pumped back into the undamaged tanks. The fuel capacity was 4,500 gallons (17,040 liters). 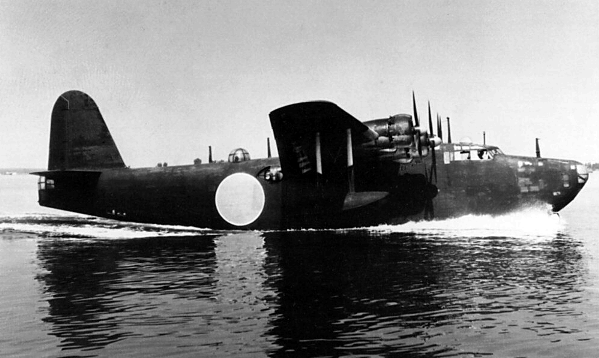 The H8K was used on a wide range of patrol, reconnaissance, bombing, and transport missions throughout the Pacific war. As a troop carrier, it could hold up to 64 soldiers. Only four aircraft survived to the end of the war. Four 1,850 hp (1,380 kW) MK4Q Mitsubishi Kasei 22 14-cylinder radial engines. two 800 kg (1,764 lb) torpedoes or two 1,000 kg (2,205 lb) bombs or depth charges. Mark VI Model 1 ASV radar. 1. Rene J. Francillon, Japanese Aircraft of the Pacific War. Annapolis, Maryland: Naval Institute Press, 1995. 308. Created September 12, 1997. Updated October 26, 2013.